PR chiefs in the Global Power Book were closely divided between Twitter and Facebook as their most useful social media platform, with the microblogging service edging out Mark Zuckerberg's social utility by 122 votes to 103. Many execs gave the nod to both platforms – Twitter for their professional lives and Facebook for personal. Frank Shaw, corporate VP, corporate comms for Microsoft, said: "From a rapid news delivery-and-response standpoint, Twitter is by far the most effective and useful." ICR CEO Tom Ryan agreed: "Twitter has proven itself an indispensable resource for news. Following reporters and journalists, business and political leaders, news organisations and industry powerhouses has created a very efficient way to stay up to date on the world’s goings-on." Others were just as enthusiastic about Facebook. Mike Valdes-Fauli, president and CEO at Pinta, said: "Facebook continues to lead the pack in innovation, acquisitions, mobile adoption and resilience in an ever-changing landscape." And Ray Day, group VP, comms at Ford, said: "Facebook continues to bring the world and communities together." LinkedIn was most useful for 58 PR chiefs, followed by Instagram at 19. Those with 10 or fewer mentions included YouTube, WeChat, Snapchat, Pinterest, WhatsApp, and Tumblr. But a majority of respondents to the Global Power Book 2016 survey noted that the most useful platform depended on the situation. Elise Mitchell, CEO of Mitchell Communications Group, said: "I use LinkedIn for professional networking; Twitter for breaking news and trending topics; WhatsApp for staying connected globally; and Snapchat for talking to my kids." Margi Booth, chairman of M Booth, said: "For keeping in touch with family and friends, Facebook; for visual candy, Instagram; for trending news, Twitter." 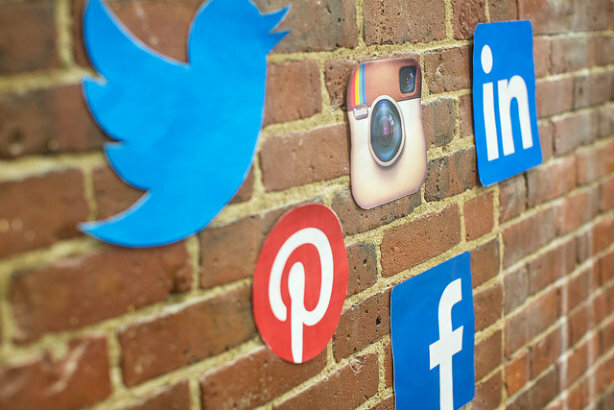 Some PR chiefs noted that other social media platforms are gaining on the big guns. Joachim Rajaram, VP, head of corporate comms (Myanmar) at Telenor, said: "Seems hard to argue with Facebook – but I'm starting to see evidence of how Snapchat is shaping the way the new generation of digital natives communicate – even in relatively obscure markets such as Myanmar." Marina Maher, CEO of Marina Maher Communications, said her favourite platform was not even a platform, but an app. "The SOON app is my new favorite," she explained. "It’s my virtual bucket list of all the things I want to watch, read, eat, and do. Keeping ahead of the curve is an absolute necessity in PR." You can check out 350 profiles of global PR superstars at PRWeek’s 2016 Global Power Book.